Hi! 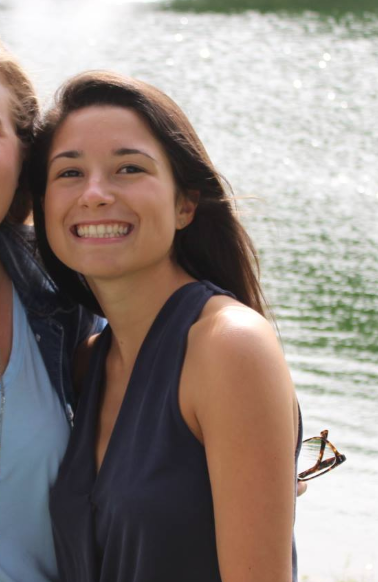 My name is Emily Frizzell and I’m an Elementary Education & Special Education major from South Burlington, Vermont. When I’m not working with little ones I love to run, hike, cook, travel and spend time with family & friends. I am so thankful to be a part of Tri Delta. Being in an organization of empowering and kind women has helped me to gain so much confidence in myself. I would not be where I am today without the amazing group of women that I get to call my sisters. Hi, my name is Alex Marek! 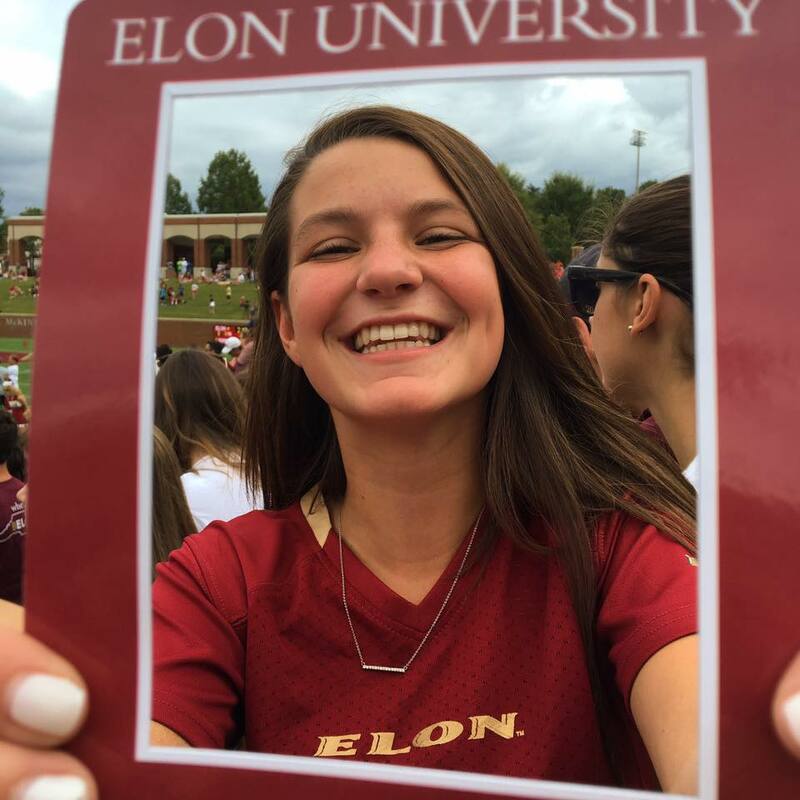 I am a double major in Human Service and Public Health Studies, and an Elon College Fellow. 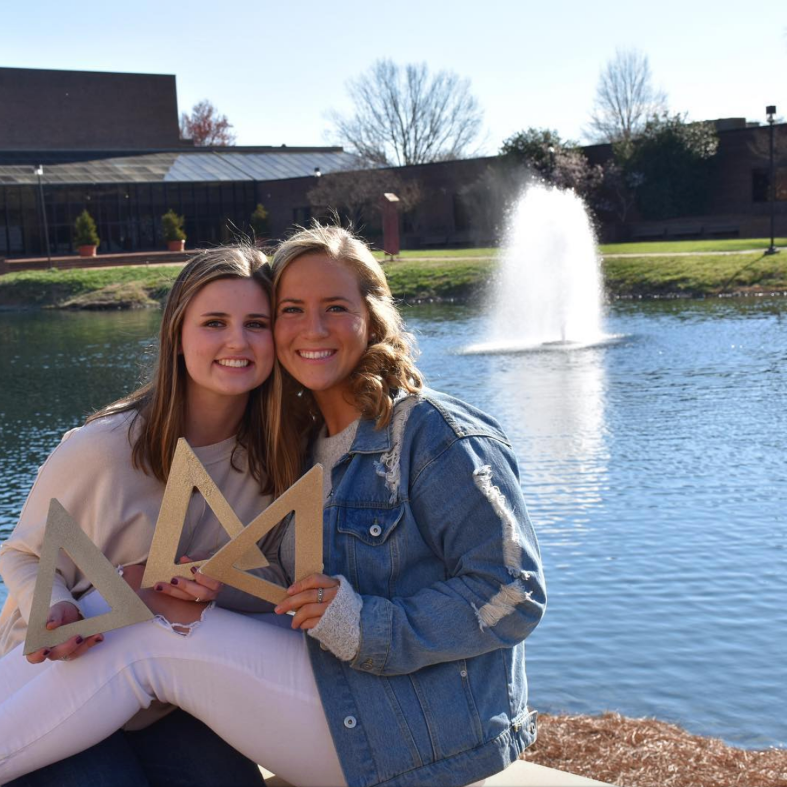 I absolutely love being a student at Elon because of all the opportunities it has provided me, and because it introduced me to Tri Delta! Tri Delta means so much to me, and the women in this organization have truly made an impact on my life. I am so proud to be a member of Tri Delta, and I am thankful for all my sisters who inspire me everyday. Hey! My name is Hope Koene (like Ha-KUNA Matata), and I’m from Brielle, New Jersey. I am a Public Health Studies major with minors in Neuroscience and Psychology on the Pre-Med track. In addition to serving as Academics Chair, I also am a SPARKS Peer Educator and Campus Tour Guide. I am very much in love with everything about Elon, and Tri Delta has made my college experience even more incredible. The women in this organization constantly inspire me, and I am so grateful for the confidence Tri Delta has given me to follow my passions. Hi! My name is Emily Cline and I am from Indianapolis, IN. I am a double major in Public Health and Spanish with a minor in Biology. 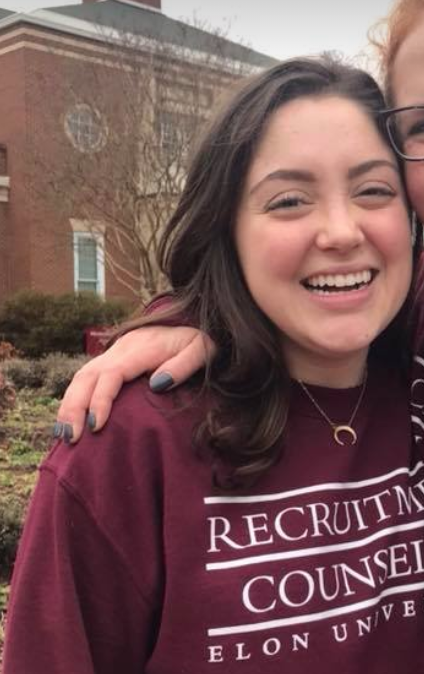 Along with being a member of Tri Delta, I am involved in Elon's Student Government Association and the Women's Club Basketball team. 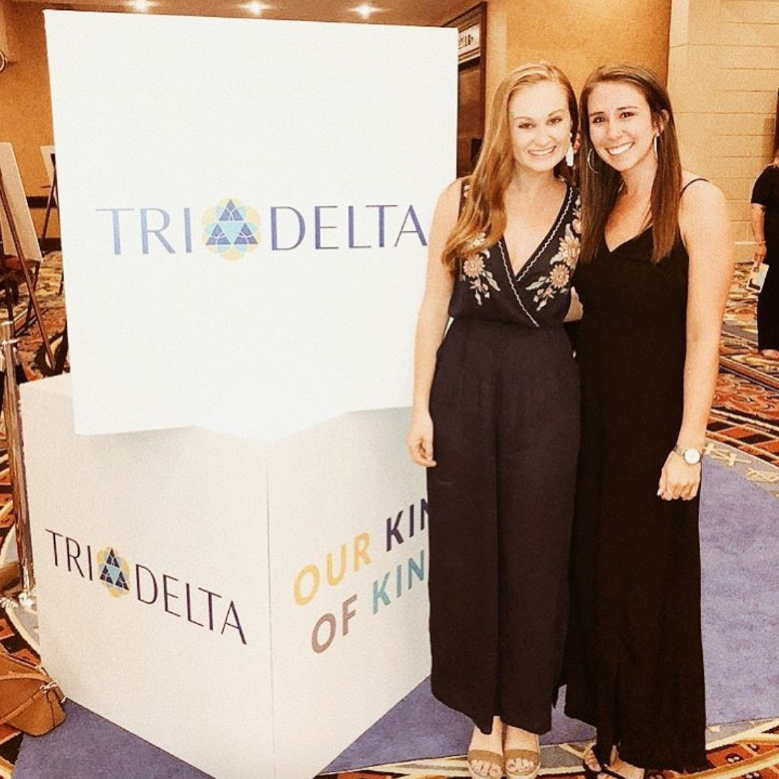 I am so grateful for all of the opportunities Tri Delta has provided me with and all of the people it has allowed me to connect with on Elon's campus. My sisters have pushed me out of my comfort zone and encourage me to be the best version of myself each and everyday. Hi! I'm Caroline! I'm from Chicago, IL and at Elon I am a psychology major with neuroscience and biology minors on a pre-med track. I am so grateful that Tri Delta has given me a place to be myself and helped me meet some of the most amazing people. I am so honored that I was elected to be Sisterhood Chair so that I can help show my sisters how much I love them and support the chapter! Hey there! My name is Ciera (like Shakira minus the “Sha”). 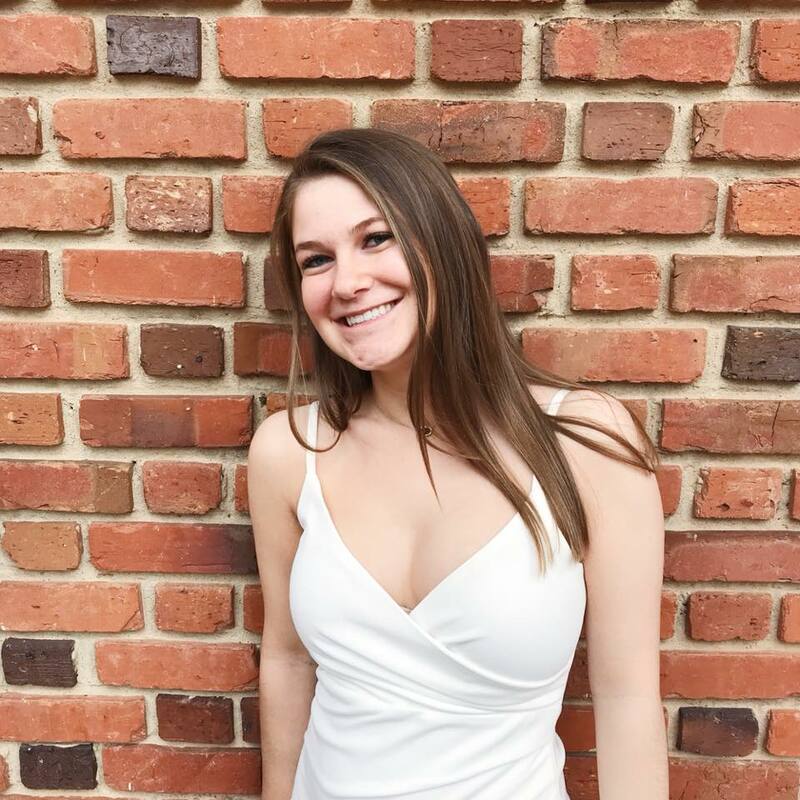 I’m from Annapolis, Maryland and I’m a Communication Design major with a minor in Digital Art. If it’s not really obvious, I love all things art – drawing, painting, music, cake decorating, you name it! I’m so thankful for Tri Delta giving me a position to express myself creatively and represent my sisterhood the best way I know how. 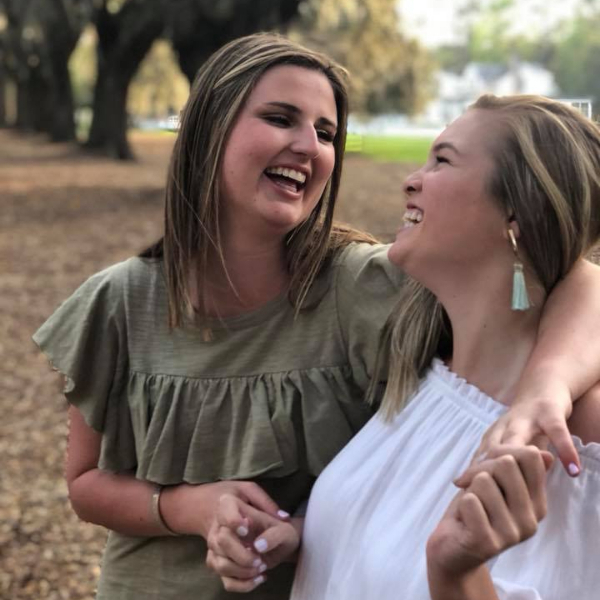 Tri Delta has given me confidence, life long friendships, and people who share my love of golden retrievers, Celine Dion, and all things Disney! Hi! My name is Maggie Boisvert and I'm from Manchester, New Hampshire. I'm a junior studying Strategic Communications & Business Administration. Along with Tri Delta, I'm also involved in College's Against Cancer and Elon Campus Recreation. 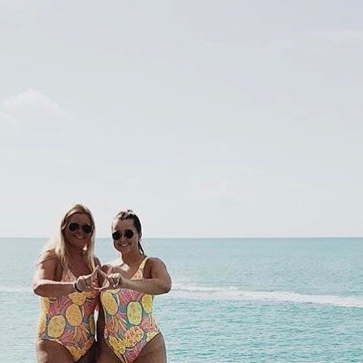 I love being apart of Tri Delta because I have gotten the opportunity to meet so many unique girls who I get to spend time with and learn from every day! Hey! My name is Andrea and I'm from Roseland, NJ. I'm majoring in Public Health with minors in Sociology and Psychology and I am also a College Fellow. Tri Delta has made my experience at Elon better than I could have ever imagined. It has given me a support system of women who constantly encourage me to do my best and I am so grateful to be part of this organization. Hi! My name is Susie and I am this year's New Member Educator (aka Mom)! I am from Atlanta, GA and am majoring in International Business with a minor in German Studies. 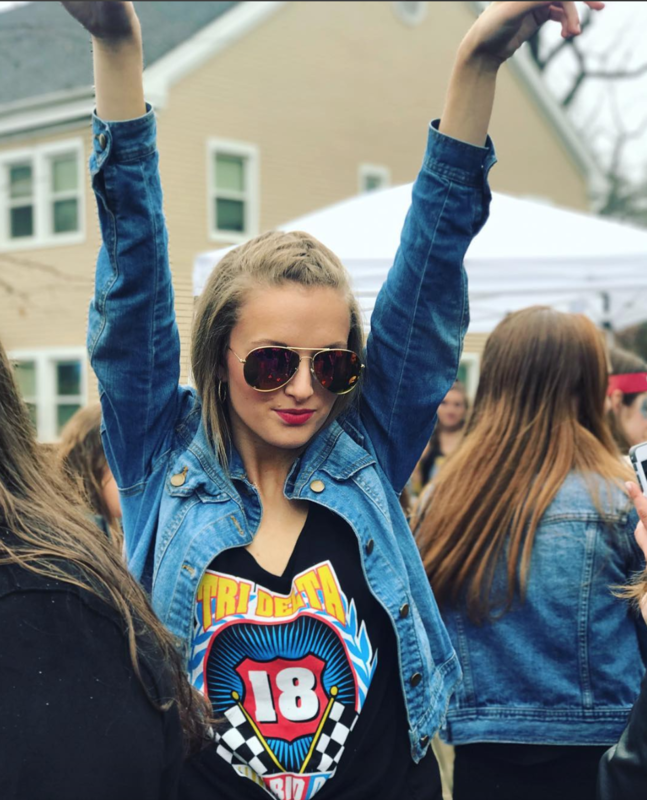 Tri Delta truly made Elon home and I would not be the person I am today without it. It has given me the confidence to lead and friendships that I know will last far beyond college. Hey! My name is Sam Parlato and I’m from Westwood, Massachusetts. I am a Strategic Communications major and a double minor in Sports Management and Professional Sales. I love to spend my free time surrounded by people and trying to do new and fun things everyday. 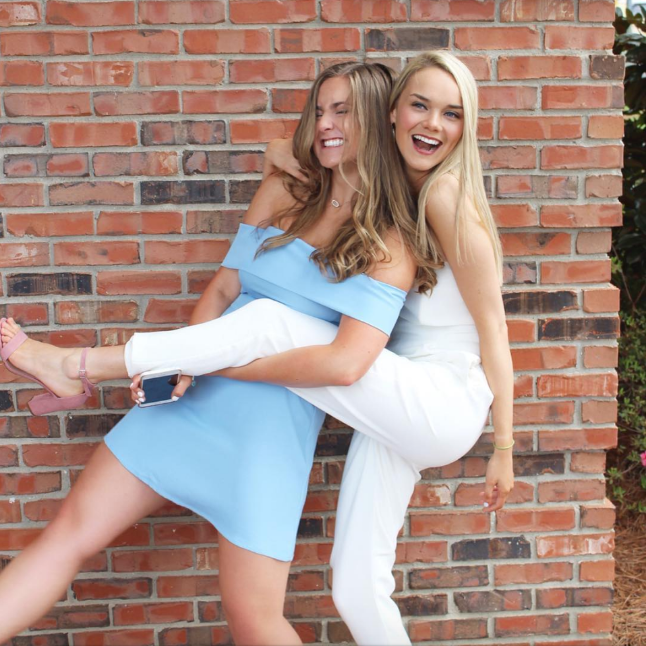 Tri Delta has given me the confidence to always be myself and has introduced me to some of my favorite people at Elon and I could not be more thankful for my experience since joining! Hey! I’m from the Boston area and am a finance major and accounting minor. 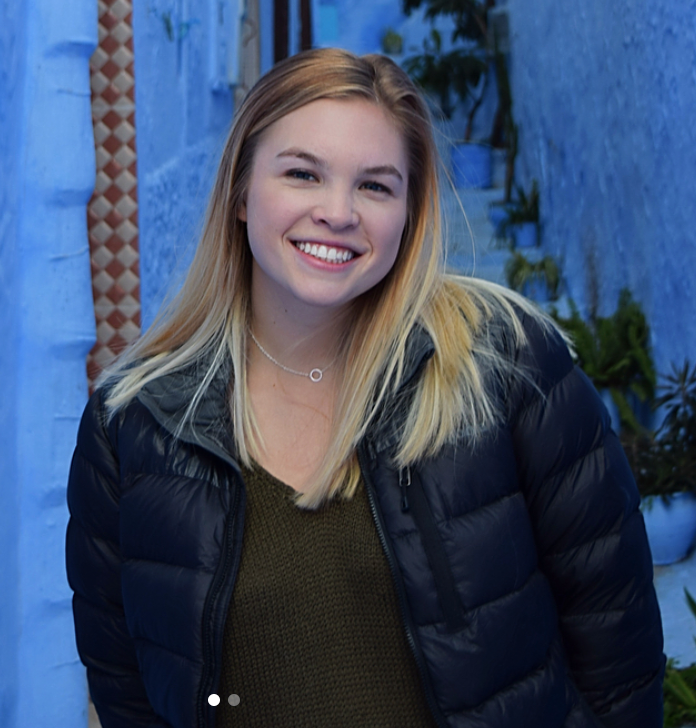 Tri Delta has given me the confidence to go out and chase my dreams; from starting a women in finance club on campus to studying abroad in London my junior year to landing my summer internship in NYC. Without Tri Delta none of this would’ve been possible and I’m forever grateful for this experience. Hey y'all! My name is Maddie Urtso and I'm from Daniels, West Virginia. I'm a Political Science major with a double minor in Communications and Criminal Justice. In my free time I like to be with the people that make me the happiest, playing with my dogs, and painting! 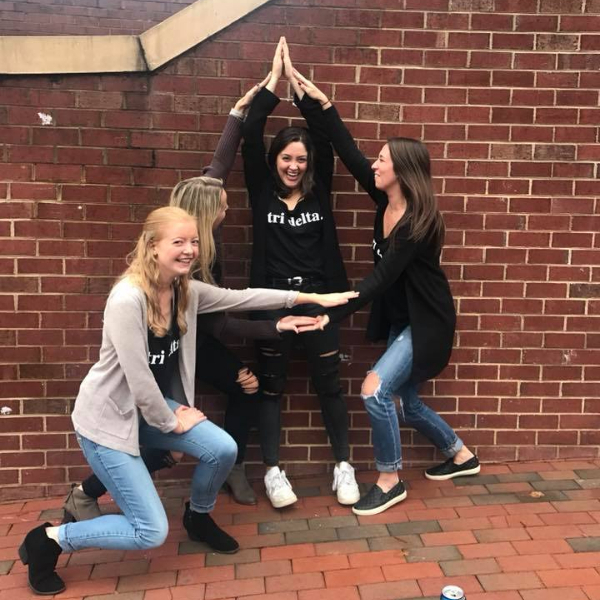 Tri Delta has made my Elon experience so amazing and I could not be more grateful for all the wonderful women who are so dedicated to St. Jude! Hi! My name is Polina Volgunina and I am from Boulder, CO. I am an Exercise Science major and am planning on getting a degree in Physical Therapy once I graduate. 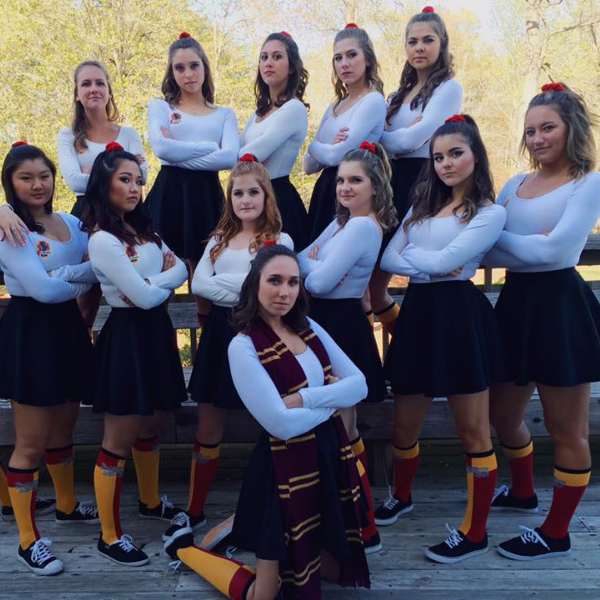 During my time at Elon I have gotten to be a part of the dance team and I have also worked as a Barista at Irazú Coffee. 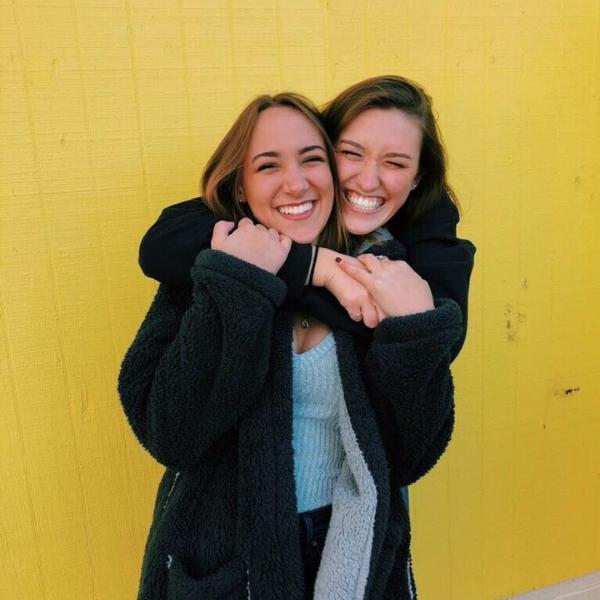 My favorite part about Tri Delta is the amazing people I have had the chance to get to know as well as the opportunity for me to be a leader! Hi my name is Logan! I am a senior from Chapel Hill, NC. I am a Strategic Communications major with minors in Sport and Event Management and Business Administration. Tri Delta has given me the confidence and support to be a leader within and outside of our chapter. My Elon experience would not be the same without Tri Delta! Hi! 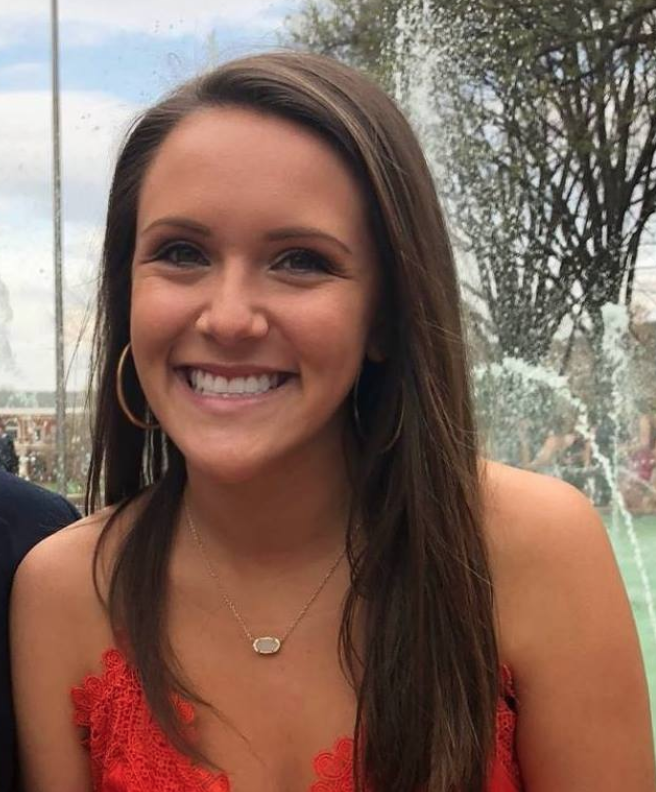 My name is Caroline, and I'm a Strategic Communications Major with minors in business administration and professional writing. I'm from Stockton, NJ which made me love pizza, bagels, and small coffee shops (but I'm not picky). I'm a huge nature freak, adventurer and adore animals, so you can find me hiking or volunteering with some cute pups, cats or horses. I love St. Jude and I’m so lucky to have a group of girls that do so much good for St. Jude! Hi! My name is Hana Previte and I’m originally from Wilton, CT. I am majoring in Strategic Communications and minoring in Business Administration. Outside of Tri Delta, I play on the Elon Women’s Club Soccer team. I am so thankful to be a member and officer of Tri Delta and incredibly appreciative of all my sisters. Hello hello! My name is Caroline Gillespie and I am the Chapter Correspondent for Tri Delta. 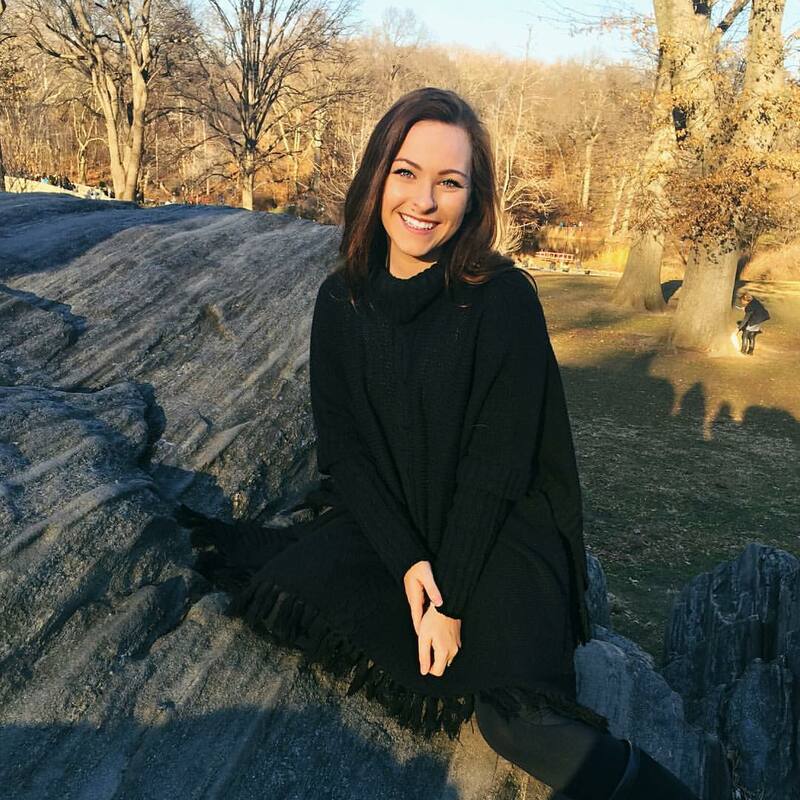 I am from Rye, New York and am majoring in Human Service Studies with a minor in Teaching & Learning (education). 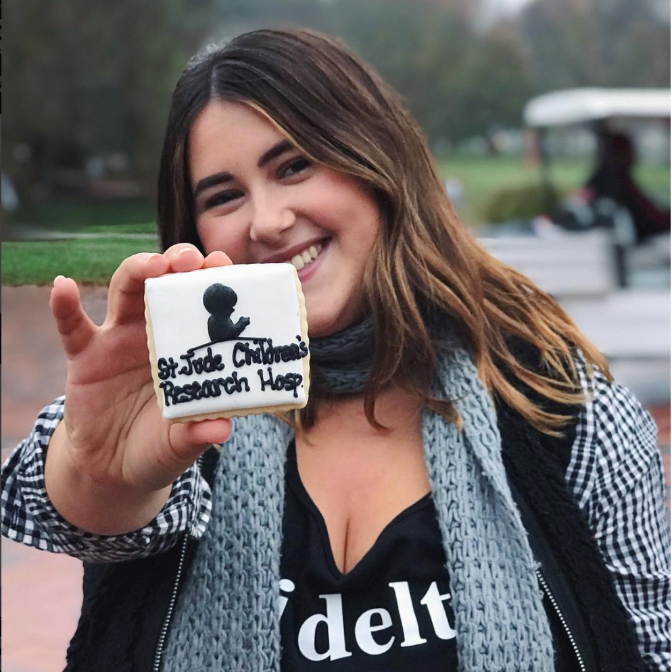 Working with children is one of my greatest passions in life and Tri Delta has provided me with endless opportunities to work with St. Jude’s Research Hospital and for that, I am forever grateful. I also love to travel and have travelled all around the world, both for adventure and for service of others. 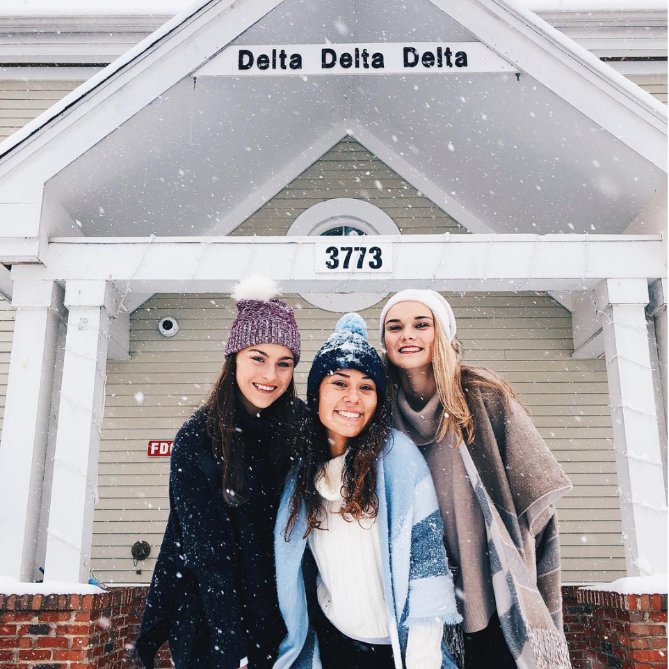 Tri Delta has provided me with a lifetime of meaningful friendships, confidence in myself as a leader, and a philanthropy that I am passionate about. Elon University is an amazing place and my sisters in Tri Delta make it feel like home. Hi! 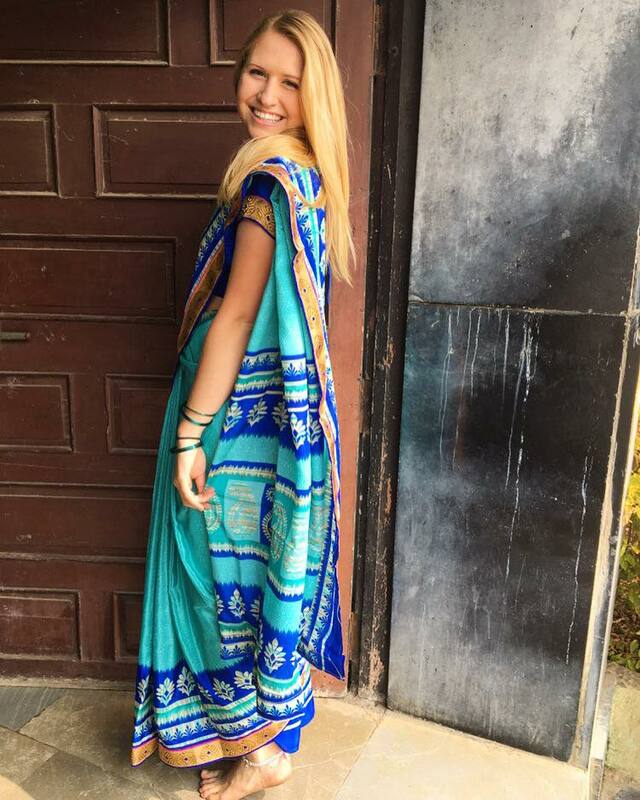 My name is Annie and I am currently double majoring in international and global studies and Spanish! I'm from Lake Tahoe, Nevada which is where I fell in love with hiking, and laying by a body of water so North Carolina is a home away from home. When I'm not hanging out with my dog Keller, you can find me trying different coffee, spending time with my lovely Tri Delta sisters or volunteering with the Humane Society of Alamance County! I am so excited to combine my passion for volunteering and Tri Delta in my position! Hi! My name is Lane Limroth and I am from Virginia Beach, VA. I am a rising junior with a double major in exercise science and public health. I am so excited to be representing our chapter as Collegiate-Alumni Relations Chair. I love being able to keep in touch with women who have graduated, and gone onto do amazing things! I am so lucky to be a part of Tri Delta. This organization and these women have made Elon home for me! I am excited for the year to come. Hi! My name is Olivia Kogler and I am from Baltimore, MD! I am the Panhellenic Delegate for our chapter. I am an Elementary Education major with a minor in Psychology. I am so grateful for Tri Delta for providing me with the best opportunities, best friends, and best support I could ask for at Elon. One of the things I love most about this organization is how closely we get to work with St. Jude and the wonderful kiddos we get to support! Hey everyone! My name is Rylie Cute and I’m from Fairfax city, Virginia. I am a Dance Science major and an Exercise Science minor. Outside of Tri Delta I have danced with the Elon Dance Company, participated in Elonthon, and have volunteered with Elon Volunteers! I plan on pursuing physical therapy in grad school and hope to use my dance knowledge to explore Dance Therapy. 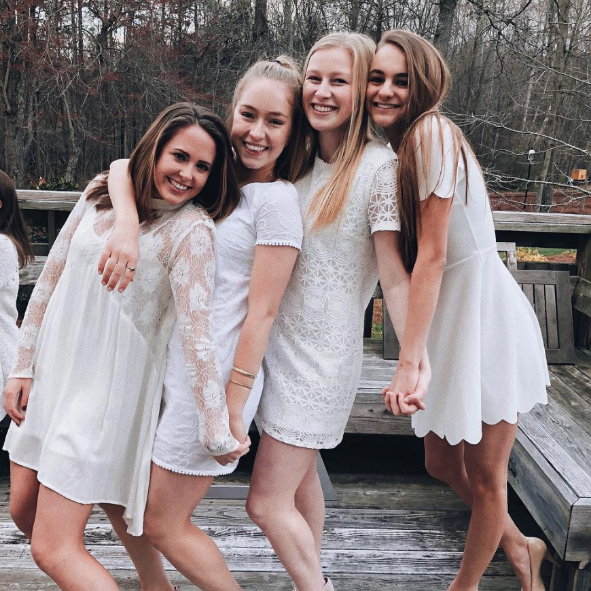 I love being a part of Tri Delta because, like me, every one of my sisters has so much love for the children of St. Jude’s and each one inspires me to be my best self. Hi! 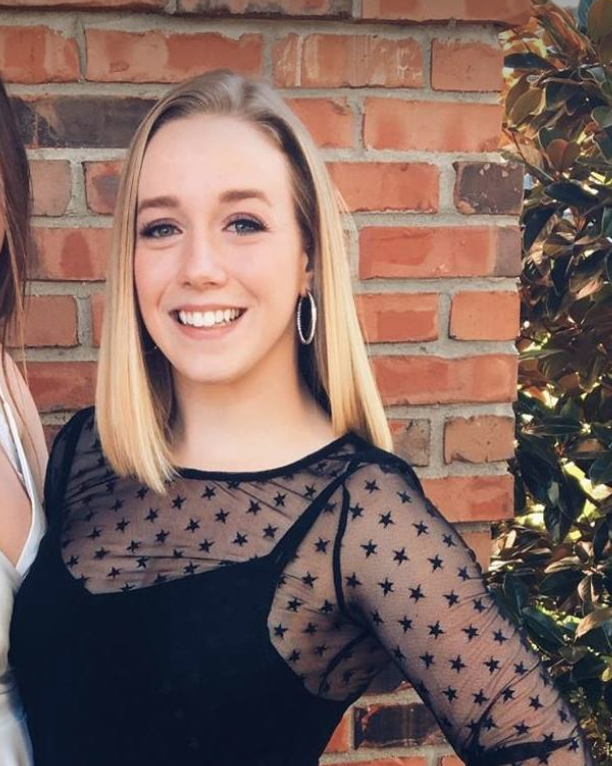 I am a junior at Elon and from Newport, Rhode Island. 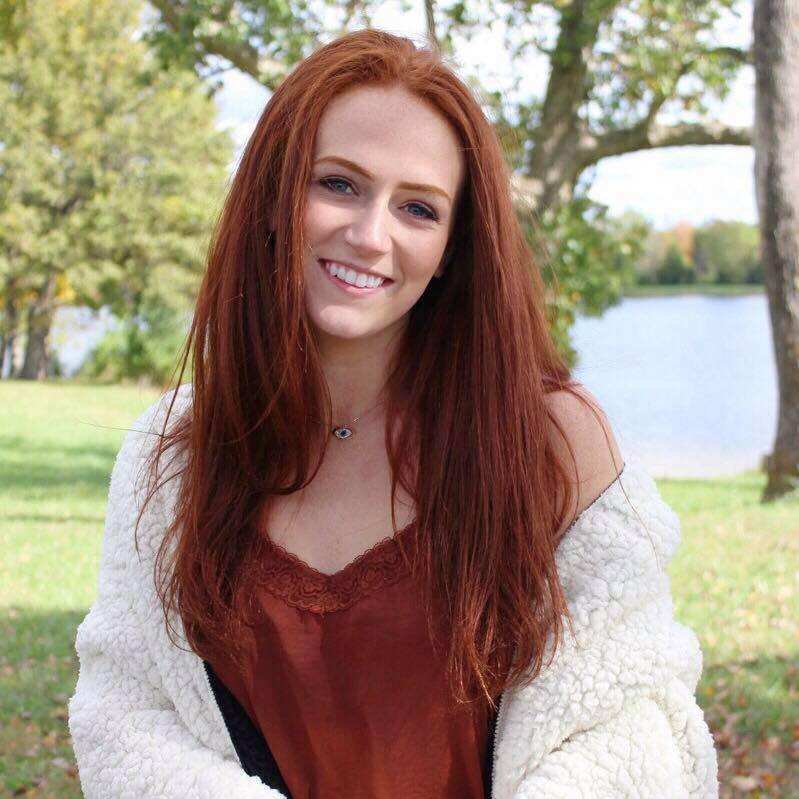 I am studying Public Health and Biology and hoping to pursue a career in the medical field (probably as a physician assistant). 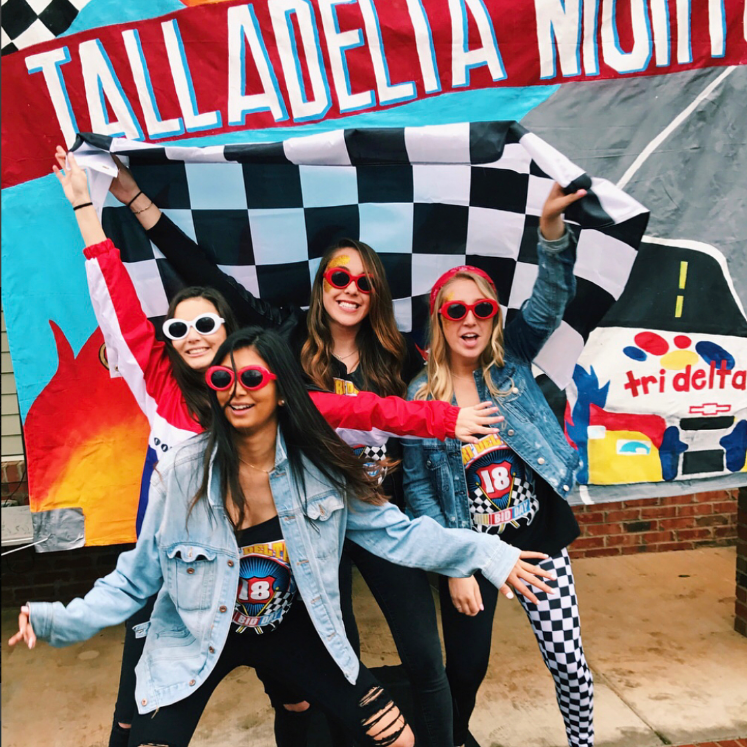 Tri Delta has helped to shape my college experience in so many ways. I love knowing that I will always have a community of girls by my side and being able to work together to support St. Jude!